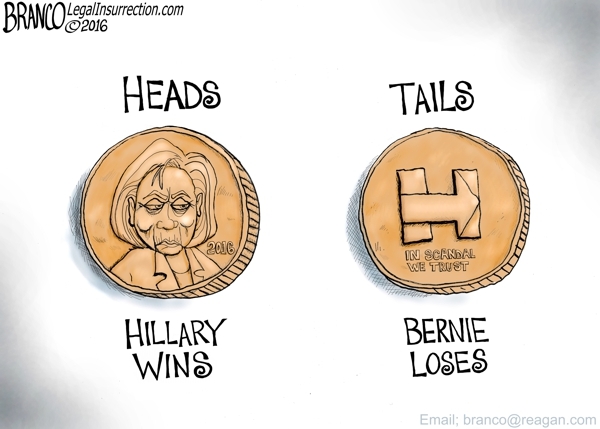 ARRA News Service: What Are the Odds . . .
. . . Iowa Coin Flip benefits Hillary, what are the odds Bernie had a chance? Answer Zero! Tags: odds, coin flip, Hillary Clinton, Bernie Sanders, editorial cartoon, AF Branco To share or post to your site, click on "Post Link". Please mention / link to the ARRA News Service. and "Like" Facebook Page - Thanks!